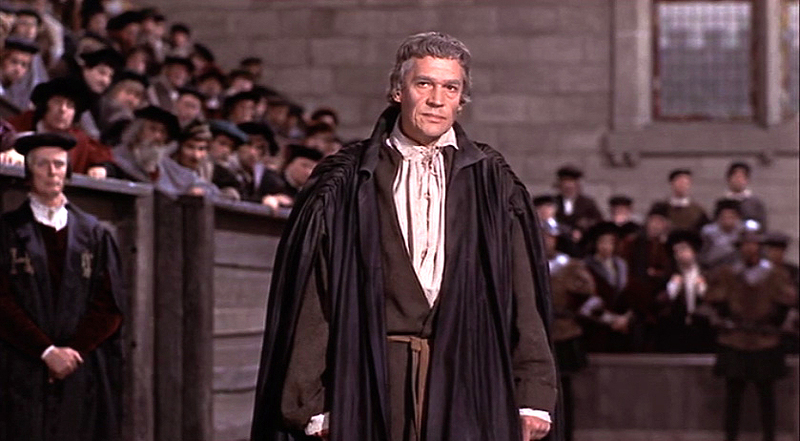 About as classy as a film can get, Fred Zinnermann’s 1966 film of Robert Bolt’s play exudes intelligence, telling in broad strokes the story of Sir Thomas More (Paul Scofield) and his battle to reconcile his religious beliefs with his position of Lord Chancellor. When Henry VIIII (Robert Shaw) plans to marry again, More is not prepared to bow to his will and annul his previous marriage. More refuses to crumble in the face of the king’s persuasion and pressure, and his spirited legal defence of his position is a key text in understanding the nature of personal faith. Scofield and Shaw give magnetic performances, and support from Orson Welles and a very young John Hurt make this a historical epic that’s firmly grounded in the personal, and has a sensitivity for language that makes More’s arguments endlessly quotable.